The workers will not walk off immediately, however. Rather, there will be a government mediation period that will last at least five-days before workers are legally permitted to down tools. If the strike goes ahead it would be the first in the history of Antofagasta. The London-listed company is part of the Luksic group of companies, one of Chile's largest conglomerates. Zaldívar, an open-pit, heap-leach mine, produced 102,000 tonnes of copper in 2016. During the first quarter operator Antofagasta said production rose 7.3% to 26,600 tonnes at a cash cost of $1.75 per pound. Canadian gold giant Barrick sold half of Zaldívar to Antofagasta for a shade over $1 billion in cash at the end of 2015. 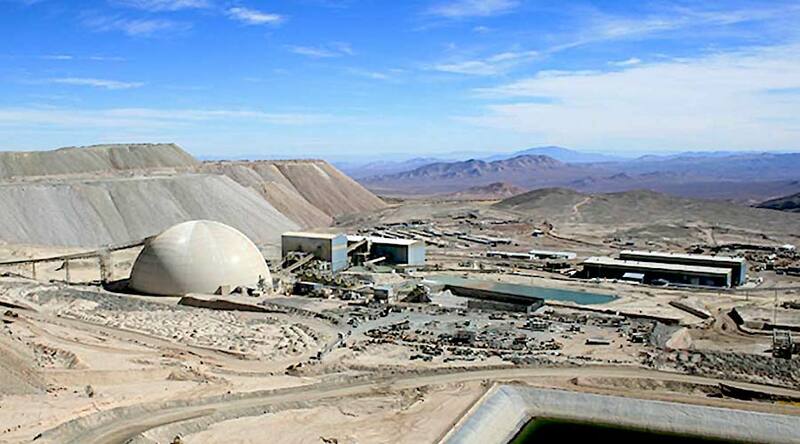 Proven and probable copper reserves at the mine located 150km east of Chile's capital Santiago is estimated at 2.36m tonnes (2016). Antofagasta also faces labour action at its Centinela which last year produced 180,000 tonnes of copper. Antofagasta is the world's number 9 copper producer with total output of 477,000 tonnes last year on an attributable basis. Chile is responsible for some 30% of global output. The world's largest copper mine Escondida was hit by a 43-day strike in February-March this year that crimped production by around 120,000 tonnes.